Santa Clara University Archives and Special Collections. 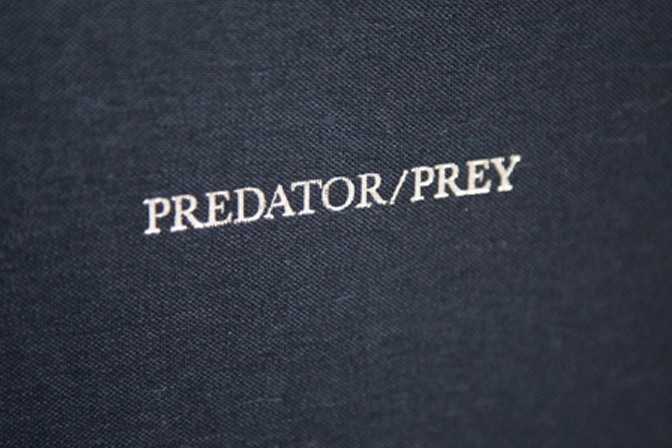 Humans have completely changed the rules of the playing field between Predator and Prey. A lush, 10×13″ send-up of a coffee table book, this photo essayi is a loving treatment of subject matter that is complicated and sad. Edition of 15. 2005. $800.